Turn your golf day into a full getaway. Stay overnight in our cottages or campgrounds. 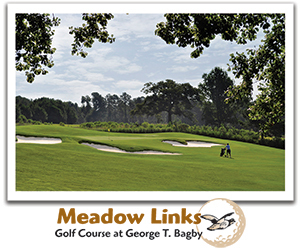 Call the park you would like to book at directly (Monday–Friday, 8 a.m.–4:30 p.m. EST) to book your Georgia State Park Golf Package. Reservations can be made up to 13 months in advance. Includes a two-night cottage stay, two rounds of 18 holes of golf per person with cart and two driving range tokens per person. Breakfast is an additional $8 per person, per day. Cottage has two bedrooms, four beds total. Additional nights may be added. Tax is not included. A ParkPass is still required on all vehicles staying in the park. 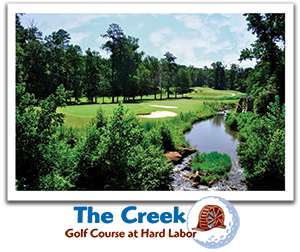 Please call the course at 706-283-6000 to reserve. Weekend rate applies to Friday, Saturday, Sunday and holidays. Package rates not valid during Master's Week. Includes a two-night cottage stay, two rounds of 18 holes of golf per person with cart and two driving range tokens per person. Regular cottage has two bedrooms, four beds total. Premier cottage has two bedrooms, three beds total. Includes a two-night camping stay, two rounds of 18 holes of golf per person with cart and two driving range tokens per person. Additional nights may be added. Tax is not included. A ParkPass is still required on all vehicles staying in the park. Please call the course at 706-557-3006 to reserve. Weekend rate applies to Friday, Saturday, Sunday and holidays. Package rates not valid during Master's Week. Includes a two-night stay in our Bluebird Cottage, unlimited golf for two days with cart and two driving range tokens per person. Bluebird Cottage has three bedrooms, five beds total. Includes a two-night stay in a 40’ campsite with electric and water, unlimited golf for two days and two driving range tokens per person. Additional nights may be added. Tax is not included. A ParkPass is still required on all vehicles staying in the park. Please call the course at 706-245-6770 to reserve. Weekend rate applies to Friday, Saturday, Sunday and holidays. Package rates not valid during Master's Week. 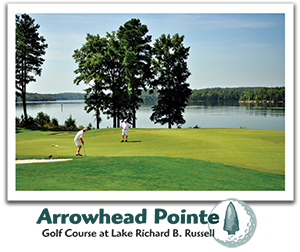 Get a group of 4-8 people, stay a minimum of 2 nights in a Tugaloo State Park cottage and get $44 per player unlimited golf at Highland Walk. Not valid with any other purchases, all other park rules apply and subject to availability. 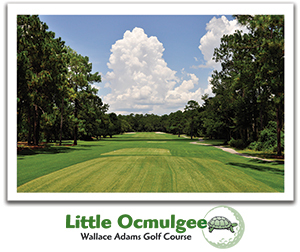 Golf Packages & Tee Times must be booked through Tugaloo State park by calling 706-356-4362. 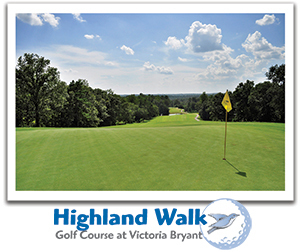 Golf tee times will be paid in full at Victoria Bryant State Park/ Highland Walk Golf Course upon arrival. Includes a two-night cottage stay, unlimited golf for two days with cart and two driving range tokens per person. Includes a two-night stay at a 40’ campsite with electric and water, unlimited golf for two days with cart and two driving range tokens per person. Additional nights may be added. Tax is not included. A ParkPass is still required on all vehicles staying in the park. 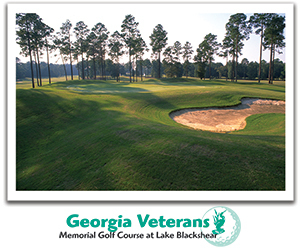 Please call the course at 912-557-7031 to reserve. Weekend rate applies to Friday, Saturday, Sunday and holidays. Package rates not valid during Master's Week. 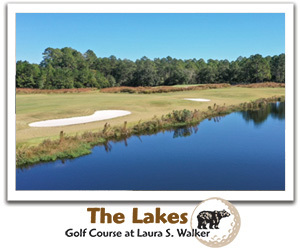 Includes a two-night stay in a Sportsman's Cabin (two beds and one sleeper sofa sleep 3-4 total), unlimited golf for two days with cart and two driving range tokens per person. Includes a two-night stay in a 40’ campsite with electric and water, unlimited golf for two days with cart and two driving range tokens per person. Additional nights may be added. Tax is not included. A ParkPass is still required on all vehicles staying in the park. 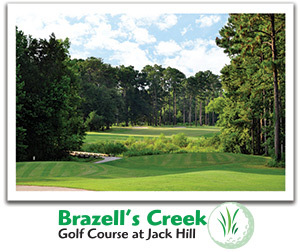 Please call the course at 912-285-6154 to reserve. Weekend rate applies to Friday, Saturday, Sunday and holidays. Package rates not valid during Master's Week. Golf package reservations must be made in advance. A deposit is required. Packages are based on availability. Cancellations are required 7 days in advance for a refund minus $10 handling fee. Weather is not guaranteed. Should a golf course close due to inclement weather, refunds in the form of rain checks for golf only will be issued. Each hotel may have additional conditions of booking. Prices subject to change.